There are many reasons why English is becoming increasingly valuable in the workplace. Dealing with complaints from international clients has to be one of most negative. Nonetheless, this is surely a part of any company’s reality – no matter how efficient their operations may be. In our opinion, there are some very simple rules to follow when handling complaints. First, listen. Then, listen some more. After you’ve finished listening, ask questions and listen again. Then sympathize and follow up promptly with any mutually agreed upon actions. When dealing with customer complaints it’s very easy to take things personally. To feel like the person on the other side is yelling and blaming you and not just releasing his frustrations about the situation. It’s important to remember that it’s not about you at all and that with an understanding attitude towards your customer many seemingly unresolvable situations can be calmed and set straight. Sherry is a customer service representative working for Metalon, an international supplier of commodity metals. John is the global purchaser for Emrox, a manufacturer of heavy machinery. John is furious because the latest shipment of aluminum is 4 days overdue. Emrox has an order to fulfill by the end of the month, which will generate nearly 5 million EUR in revenue. If they don’t have enough aluminum by the next morning, they won’t be able to produce the machines in time and will lose the contract to their main competitor. Read the dialogue below to see how Sherry handles this complaint from a particularly upset customer and is able to find an acceptable resolution. Fill in the blanks with the available vocabulary. Sherry: Good afternoon, Sherry speaking. How can I __________ you? John: I’m John Hupfield from Emrox. You were supposed to deliver 100 Tonnes of aluminum to our warehouse 4 days ago and it’s still not here! I __________ this order nearly 2 months ago so I don’t understand how you’re unable to deliver on time. We’ve been buying from you for the last 10 years and this sort of delay is absolutely __________! If we don’t get the metal by this afternoon, we’re __________ Metalon responsible for our __________ and that will be very expensive for you! Sherry: John, I’m really disappointed to hear about this delay. Let me look immediately into what’s going on with your order. Just bear with me for just a minute while I go into our system. Ok…I see that you have two orders placed with us. Indeed, one that was __________ to arrive 4 days ago and one for next month. John: Yes, thanks for telling me something that I already know! When will we get our __________? Sherry: John, I see that normally you request a complete shipment. Out of the 100 Tonnes that you’ve ordered, we have 80 Tonnes __________ to ship. The other 20 should be coming in after tomorrow. Do you need the full 100 Tonnes immediately or would you be able to accept a __________ delivery? John: Well, we’re going to be producing over the next two weeks. So, we’d need 50 Tonnes __________ in the morning. Then the other 50 Tonnes we would be able to accept next Monday. Sherry: I think that could solve our problem here. Let me go ahead and change that in our system so that we can ship the 80T straight away. I’ll indicate for the delivery to be shipped __________ so that we’re sure it will arrive by 9 am tomorrow. The remaining 20T should arrive no later than Thursday. I’ll personally check on the __________ daily to ensure we don’t encounter any issues. How does that sound, John? John: That sounds good to me. When I see the delivery tomorrow morning I’ll be in a much better mood. Sherry: John, why don’t I e-mail you in about 1 hour with the __________ details for the delivery? That should give you __________ tonight. John: Great, Sherry. Thanks a lot for your help. Do you think Sherry handled John’s complaint appropriately? Would you have done anything differently? Sherry: Good afternoon, Sherry speaking. How can I assist you? John: I’m John Hupfield from Emrox. You were supposed to deliver 100 Tonnes of aluminum to our warehouse 4 days ago and it’s still not here! I placed this order nearly 2 months ago so I don’t understand how you’re unable to deliver on time. We’ve been buying from you for the last 10 years and this sort of delay is absolutely unacceptable! If we don’t get the metal by this afternoon, we’re holding Metalon responsible for our shut down and that will be very expensive for you! Sherry: John, I’m really disappointed to hear about this delay. Let me look immediately into what’s going on with your order. Just bear with me for just a minute while I go into our system. Ok…I see that you have two orders placed with us. Indeed, one that was supposed to arrive 4 days ago and one for next month. John: Yes, thanks for telling me something that I already know! When will we get our goods? Sherry: John, I see that normally you request a complete shipment. Out of the 100 Tonnes that you’ve ordered, we have 80 Tonnes available to ship. The other 20 should be coming in after tomorrow. Do you need the full 100 Tonnes immediately or would you be able to accept a partial delivery? John: Well, we’re going to be producing over the next two weeks. So, we’d need 50 Tonnes first thing in the morning. Then the other 50 Tonnes we would be able to accept next Monday. Sherry: I think that could solve our problem here. Let me go ahead and change that in our system so that we can ship the 80T straight away. I’ll indicate for the delivery to be shipped express so that we’re sure it will arrive by 9 am tomorrow. The remaining 20T should arrive no later than Thursday. I’ll personally check on the status daily to ensure we don’t encounter any issues. How does that sound, John? Sherry: John, why don’t I e-mail you in about 1 hour with the tracking details for the delivery? That should give you peace of mind tonight. 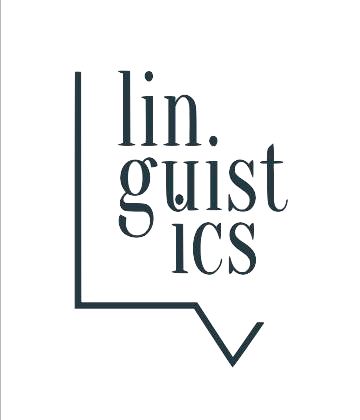 The LV Linguistics team loves writing about anything to do with business culture and enjoys finding ways to use this to help readers improve their English skills. In addition to articles related to the corporate world, entrepreneurship, work-life balance, and more, we’re working hard to create and share English vocabulary and grammar exercises that we hope can help you to excel in your language endeavours. Please let us know if there’s something that you’d like us to write and post! Business English | Reading Comprehension | Which Company is it?Can one be Addicted to the Mobile Phone? Quelles bonnes résolutions professionnelles pour 2018 ? Avantages fiscaux pour entreprise : Ne passez pas à côté !